Citation: C N Trueman "The bombing of Hamburg in 1943"
Hamburg was bombed in July 1943. According to JosephGoebbels, Nazi Minister for Propaganda, the bombing of Hamburg was the first time that he thought Nazi Germanymight have to call for peace. The bombing of German cities, spearheaded by ‘BomberHarris’ and the men from Bomber Command, remains a controversial topic and the bombing of Dresden in 1945 is frequently recounted. However, the bombing of Hamburg brought utter destruction to the city and regardless of what happened to the city itself, it did a great deal to hearten people in Britain who had seen London and many other cities attacked and bombed with the resulting casualties. In 1943, many in Hitler’s Germany still believed that they were going to be victorious in the war – primarily because of the propaganda they were fed and the punishment handed out to those labelled ‘defeatist’. The ‘1000 Bomber’ raid on Cologne had shown that mass bombing was inaccurate and not totally fruitful in terms of strategic gains. 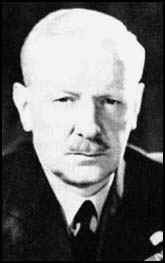 However, Harris, supported at this time by Winston Churchill, still believed that a devastating attack on a symbolic target would push the Nazis into seeking a peace deal. Cologne, Dortmund and Dusseldorf had all been bombed. The most obvious other target of any symbolic importance to the Germans was Hamburg. The attack on Hamburg was called ‘Operation Gomorrah’. It was a joint British-American venture. Many of the attacks on Germany up to ‘Gomorrah’ had been separate British (at night) and American (at day) attacks. The combination of both bomber forces gave Harris a substantial number of bombers and therefore a substantial number of bombs that could be dropped. Hamburg was well defended. The Nazis were aware of its historic significance as the major port in the old Hanseatic League. The city was ringed with anti-aircraft defences and there were 1,700 shelters for 230,000 citizens. Radar around the city could pick up enemy bombers when they were 100 miles away. ‘Operation Gomorrah’ was scheduled to last for three nights, starting on July 24th. For the mission, bomber crews were issued with tin foil strips (‘chaff’) coated onto paper which were to be dropped from each bomber. These served to confuse radar crews whose screens were effectively obscured by one mass echo blob and individual bombers could not be identified. The first attack came in the early hours of Sunday 24th. In one hour, between 01.00 and 02.00, 2,300 tons of bombs were dropped which included 350,000 incendiary bombs. 15,000 people were killed and many more wounded. In previous bombing raids, the RAF had sent in pathfinder planes to illuminate the target by dropping incendiary bombs. The main bulk of the attack followed on to what was now a burning target. For the attack on Hamburg, the RAF combined the use of high explosive bombs and incendiary bombs, which were dropped together. The result made all but useless any form of fire fighting. The Americans attacked on Monday 26th July and sustained heavy losses as a result of Luftwaffe attacks. An American attack on the Tuesday was called off due to poor weather. The raid was resumed on the Wednesday. The 722 bombers were loaded with an extra 240 tons of incendiary bombs and dropped a total of 2,313 tons of bombs in just 50 minutes. The impact of this attack led to a firestorm with temperatures estimated to have reached 1000oC. Bomber crews reported smoke reaching 20,000 feet. Winds on the ground reached 120 mph. While not exclusively a wooden city, Hamburg did have many old wooden houses and after a dry summer they easily burned. “We came out into a thundering, blazing hell. The streets were burning, the trees were burning and the tops of them were bent right down to the street. Burning horses out of the Hertz hauling business ran past us, the air was burning, simply everything was burning.” Henni Klank. The tarmac on roads melted and anyone who had the chance of escape found they were stuck in the sticky mess that remained. 30,000 died in this raid. On the Thursday the smoke blotted out the sunlight associated with July. Goebbels called the raids “the greatest crisis of the war.” Hamburg was cordoned off for the remainder of the war; such was the unnerving impact the raids had on the Nazi hierarchy. Did the raids have any value? There can be little doubt that the reported impact of the raids did a great deal to lift morale in Britain. They also clearly had an impact on the Nazi government – Hitler refused to visit the city, possibly not wanting to see what his war had resulted in. Hamburg was the major port of the north and the work done by the port was disrupted. The bombing of German cities had its supporters – Harris in particular believed that an all-out campaign would have ended the war earlier. Others were less enthusiastic. Bomber Command was the only British military arm in World War Two not to receive a campaign medal – dispute the very high casualties suffered. Harris felt that the Establishment had turned its back on him and he left Britain and retired to South Africa.